Santa Anita Park and Golden Gate Fields received unanimous California Horse Racing Board (CHRB) support on Thursday allowing both tracks owned by The Stronach Group (TSG) to implement an in-house rule that will halve the allowable race-day dose of Lasix for the balance of their current meets. 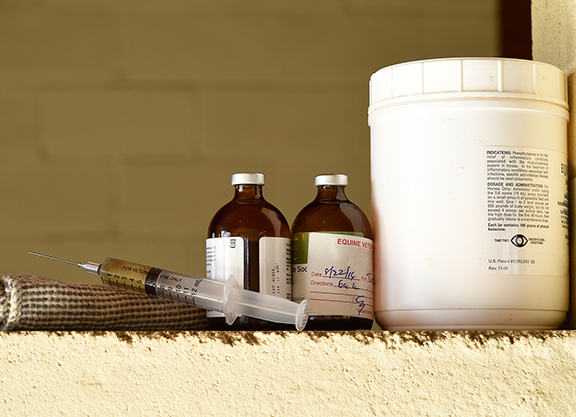 TSG and the Thoroughbred Owners of California had already agreed to the adoption of an in-house rule that cuts the race-day dose of Lasix from 10 cc to 5 cc, but the CHRB’s vote made it official. The medication reforms are part of a sweeping set of welfare changes proposed by TSG in the wake of 22 recent equine deaths at Santa Anita. CHRB chairman Chuck Winner stressed that the rule change voted upon at the Mar. 28 meeting does not pertain to any future discussions that might arise about an eventual phasing-out of Lasix that TSG has proposed for its California tracks. A separate rule passage that also advanced by a 5-0 vote will suspend the use of previously allowed race-day steroidal and non-steroidal anti-inflammatory drugs at the current Santa Anita and Golden Gate meets. This was also an agreed-upon change between TSG and TOC. A third proposed rule that would have broadened the suspension of those race-day anti-inflammatory drugs to other race meets and for other breeds throughout the state for the balance of the year was removed from the agenda by CHRB chairman Chuck Winner after Greg Avioli, the TOC’s president and chief executive, said his organization had yet to discuss the topic with the managements of other racetracks. So that agenda item will be moved to the CHRB’s Apr. 18 meeting, Winner said.